Diabetes Scotland recently got funding to start a new project with young adults age 16-25 who are living with Type 1 Diabetes, with the aim of connecting young people and establishing a peer support network, building on their skill sets and give young people a chance to have a say and build on issues important to them, letting them be young leaders of diabetes in Scotland. 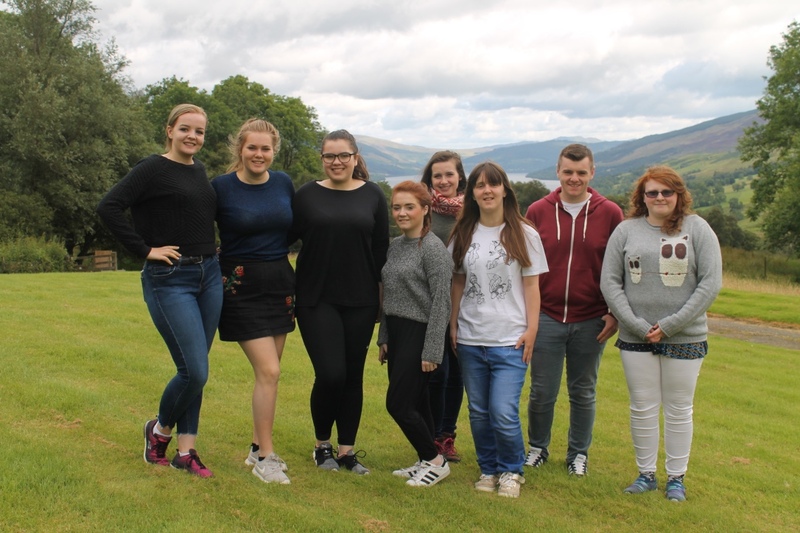 The first part of this project was a weekend residential with all the young people, and the intention of this residential was to build connections within the team, and to plan the first stages of the project. As everyone has different experiences with type 1 diabetes, everyone has different things they are knowledgeable and passionate about. 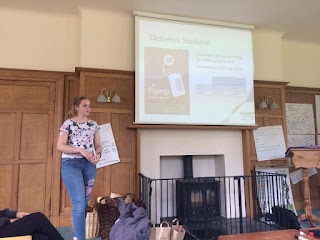 That's why the focus of the project is to have every individual plan their own projects, which are supported by Diabetes Scotland and the other young leaders. This allows projects to be ran by people who are truly passionate about making a change. 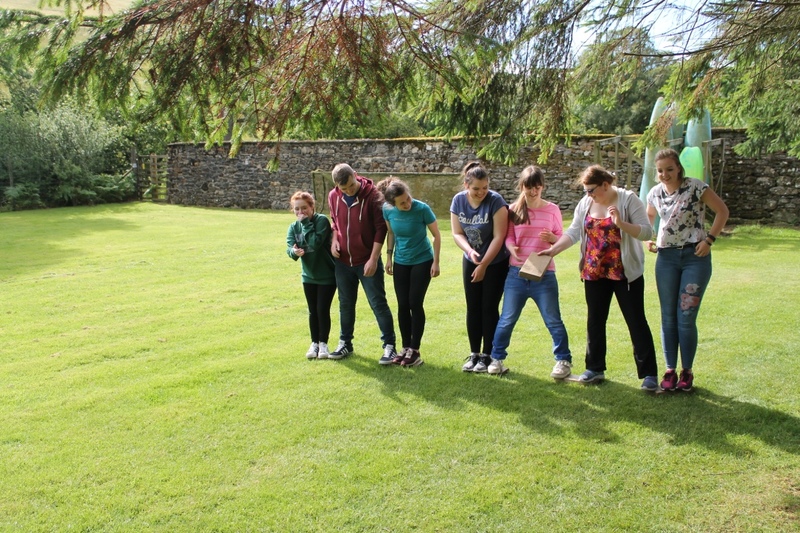 Team challenges was the first part of the weekend. 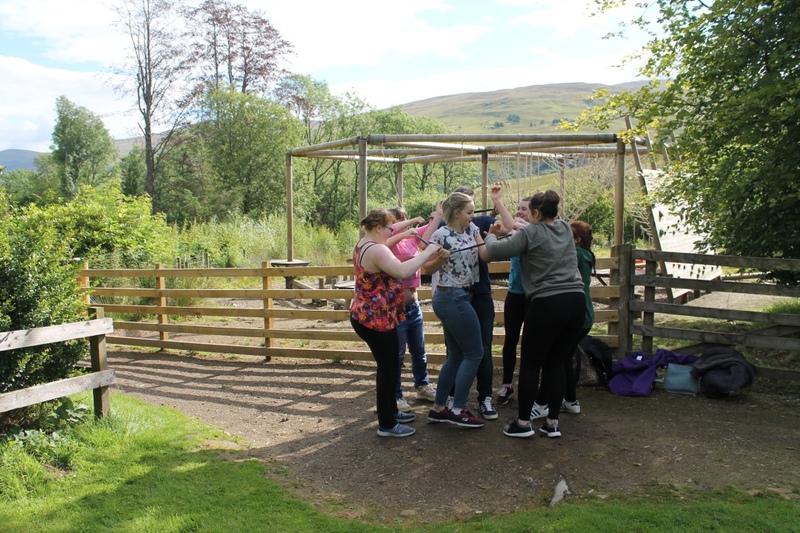 The first exercise we needed to do was get a tube over everybody, which required teamwork and communication in order to complete the task as quickly as possible. The next part was trying to cross a "lava river" with only 6 blocks, and this required problem solving and again, team work. 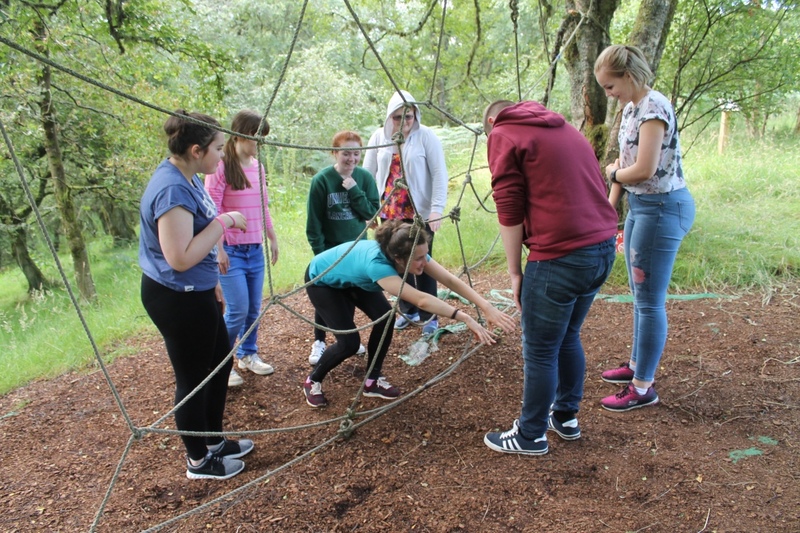 Next we had to all safely get through a spider web, which meant we all had to rely on each other to be carried through! 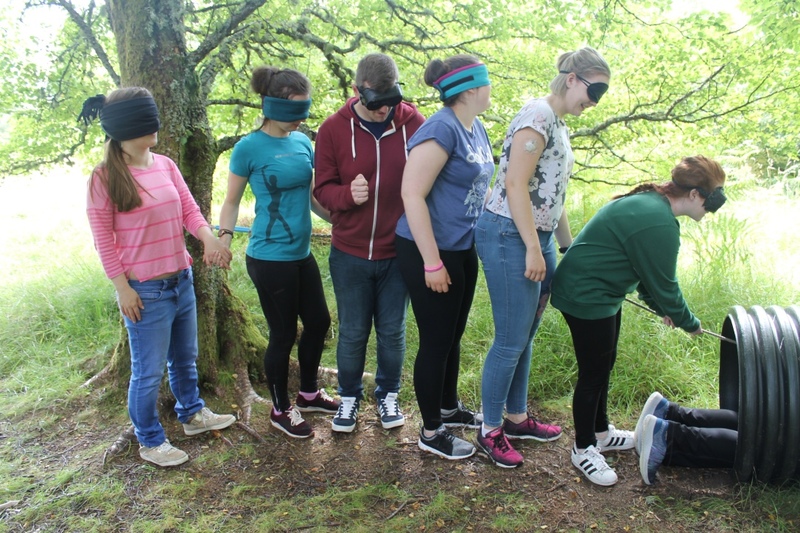 Next we were all blindfolded and tasked with guiding each other along a rope and making sure everyone got through safely. 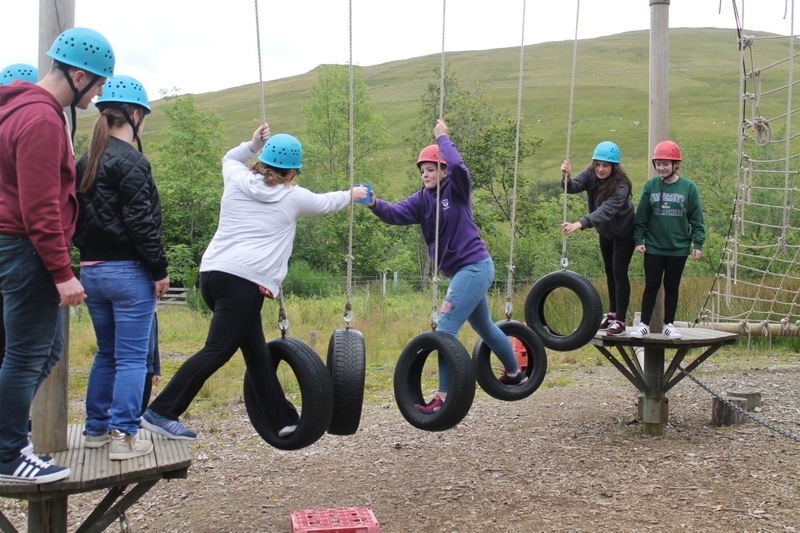 Finally we were tasked with carrying a mug of water through an assault course under time constraints, which definitely taught us that we need to communicate and help each other when one of us found it difficult. 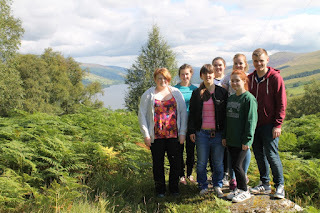 All of these exercises taught us that we all have different strengths, and we can use those strengths everyone else. They were really good exercises in demonstrating how important it is to use the resources available to us, and that it is good to get a different perspective of every issue. 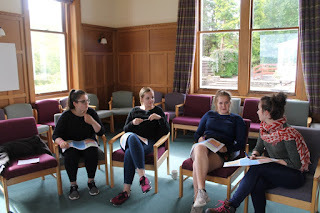 We came away with action plans on what we want to do, and every single person left the weekend excited about the year and the projects we want to do. 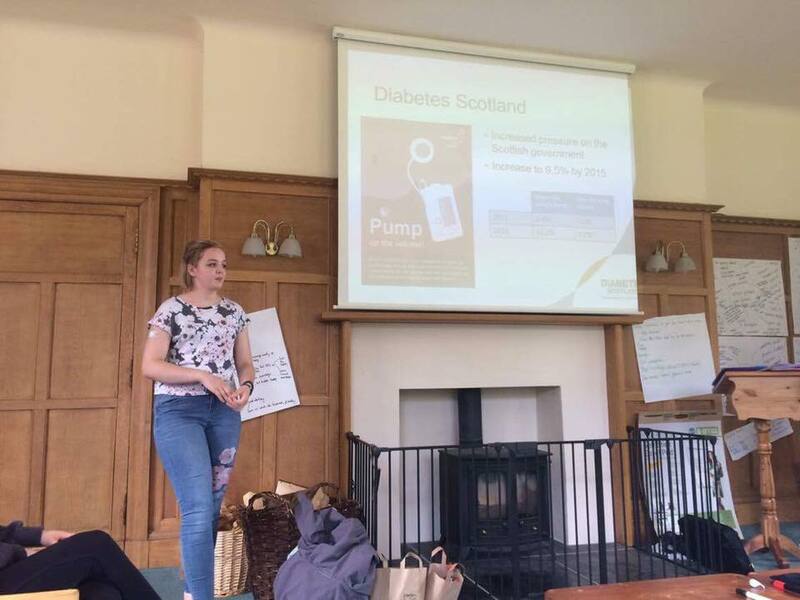 We are receiving so much support from Diabetes Scotland, it's hard to believe that the project can be anything but successful. When this project was announced, I was skeptical as with university and my other commitments, I didn't believe I would have enough time to make the most of this opportunity. I spoke to Katie, who is the leader of this project, and she said that if it is too much of a time commitment, I can take a step back for a while, and be as involved as I wanted.